“Heart in a box” may boost number of scarce donor organs. Despite advances in organ transplantation, the way donor hearts are moved from hospital to hospital remains low-tech: stored on ice and carried in a store-bought cooler. The University of Michigan Health System is testing a new high-tech heart box that circulates blood from the donor to the heart so that it continues throbbing while in transit. Conventional methods allow a heart to be viable for around four hours before it has to be discarded. Using the investigational Transmedics Organ Care System, or OCS, the heart is kept beating outside the body, warm and pumping even before doctors transplant it. The experimental operation that’s mostly been done in Europe is now being tested in the United States where 4,000 people are waiting for a new heart. 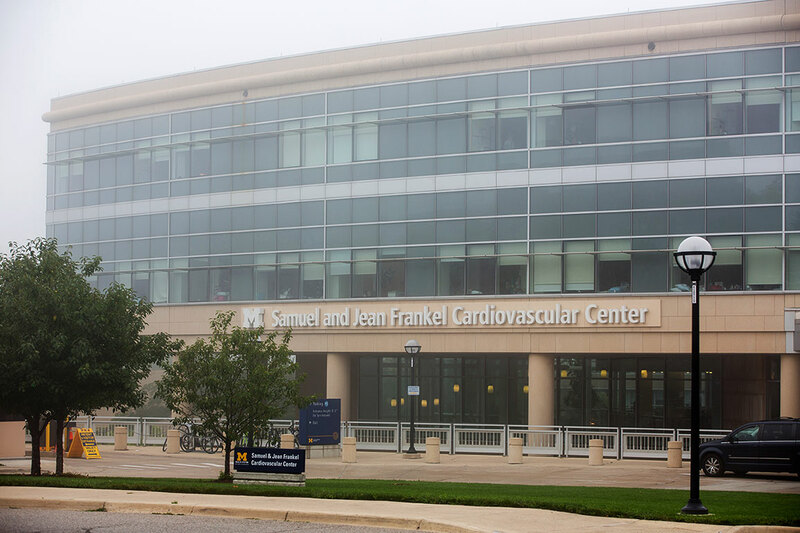 The U-M is one of 12 centers participating in the EXPAND clinical trial that will test whether the OCS is as effective as the current method of storing the heart on ice. The OCS Heart system will perfuse the heart with oxygen and nutrients during transport and keep the donor heart functioning and beating at normal body temperature. Transplant and organ recovery teams are preparing for Michigan’s first case, including practicing transporting the device on the U-M’s Survival Flight aircraft which is used to rush organs to patients in need. By using the OCS many more donor hearts may be able to be transplanted because of the prolonged time they are viable outside of the body. Hearts will now be able to travel longer distances, allowing for more potential recipients. Also because the organ is kept beating, surgeons are able to get a more comprehensive look at the heart before transplant. Learn more about the EXPAND clinical trial. Every 10 minutes someone is added to the national transplant list. On average 21 people die each day while waiting for a transplant. One organ donor can save eight lives. Add your name to the Michigan Organ Donor Registry.